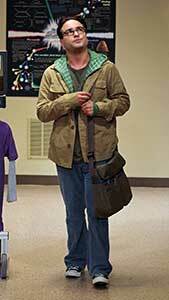 Johnny Galecki wears black low cut Converse All Star “Chuck Taylor” sneakers in the series. 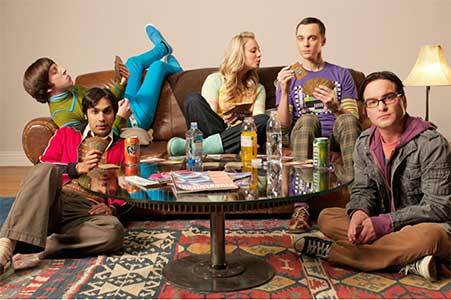 The Big Bang Theory main characters, left to right: Howie, Raj, Penny, Sheldon and Leonard. In a show that focuses on the strength and style of the mind, the characters in “The Big Bang Theory” are quite define by the quirky make up of their outfits. Sheldon, tall, brilliant, and incredibly logical to an off-putting extreme, is forever seen in his favorite vintage t-shirts bearing symbols of superheroes, sci-fi shows, and comics. Howie, the insecure and geeky astronaut, sports a bowl cut and endless array of 1960’s era outfits: colorful turtlenecks, skinny pants, and collectable belt buckles. 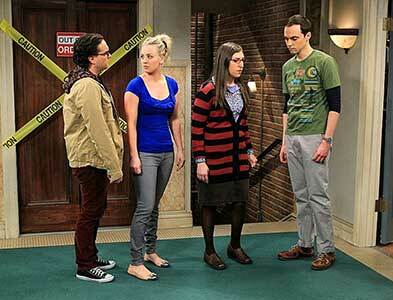 Leonard, Penny, Amy, and Sheldon. Then there’s Leonard, forever clad in his favorite black chucks, Sheldon’s best friend and loyal roommate, despite his frequent agitation at Sheldon’s quirks and eccentric behavioral habits. Described by his friend as the “Kirk” of the group, Leonard is seemingly better adjusted and socially aware, and is often the source of mediation and exploration. Sweet, sarcastic, and unendingly lovable, Leonard balances the unorthodox characteristics of his close friends with the greater society around them, acting as a sort of funny, exasperated liaison between the two. And, of course, as seen in his almost brotherly friendship with his Sheldon and in his relationship with Penny, he possess a great patience and desire to make those he loves happy. 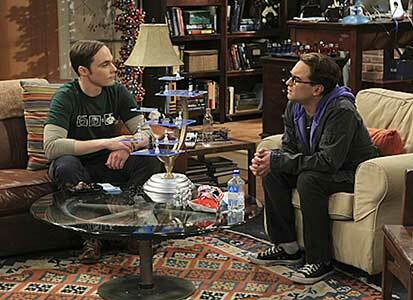 Sheldon and Leonard seated in the living room of their apartment. To those watching the show, Leonard might seem one of the more relatable characters, a compassionate friends and boyfriend with his own strange obsessions and a love for all things science fiction. He also dates Penny, a beautiful, non-science professional, and their relationship truly brings out the best in him. Leonard is defined by all his characteristics, as well as by a series of conditions, such as asthma and lactose-intolerance, that hinder him but also make him seem more relatable. Unlike his friends, Leonard favors a simpler outfit, often pairing plain brown pants with layered shirts of a mismatched color scheme, and, always, his low top black chucks. Leonard walking in the hallway. His shoe choice gives him an identifiable boyish innocence, right on par with his sweet, nervous sensitivity regarding the well being of his friends and girlfriend. Along with his glasses, the chucks on his feet give him the characteristics that make him so lovable: geeky, sardonic tenderness. For all his physical faults, Leonard makes up for them by remaining a constant and integral member of the quirky, disjointed group, often acting as the glue that holds all its unconventional and odd members together. Sheldon and Leonard have lost their trousers.